The arts offer a powerful catalyst for the awakening of the new human society we know is possible – one based on caring for others and for the natural world that sustains us. Planet Earth Arts is bringing together a community of artists from all disciplines in a bold new collaborative partnership with scientists, public policy leaders, universities and non-profit organizations. Our mission is to create a body of work that fosters a strong commitment to a world where people thrive and nature flourishes. Planet Earth Arts is dedicated to inspiring artists and audiences to claim planetary sustainability and social justice as the most critical issues of our time. Planet Earth Arts in collaboration with Stanford University’s National Center for New Plays and Theater Alliance, in partnership with the Washington DC Department of Energy & Environment, is bringing it’s acclaimed Planet Earth Arts New Play Festival, now in it’s third year produced in association with PlayGround, to Washington, DC. 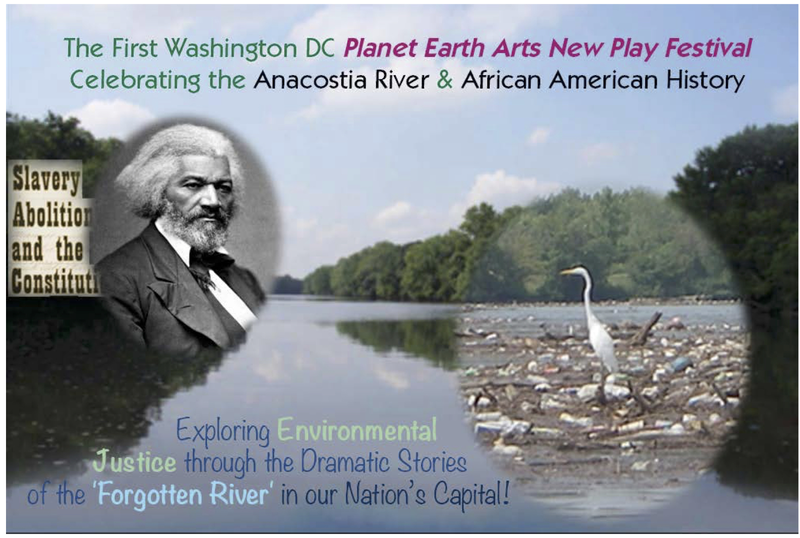 The Festival explores and celebrates environmental justice and African American history with six short new original plays inspired by the Anacostia River Watershed and its relationship to the historic Anacostia DC community through which it flows. Performances are at the Anacostia Playhouse on Sunday afternoon, January 29th and at the Kennedy Center’s Millennium Stage on Tuesday evening, January 31st. The performance at the Millennium Stage will be live- streamed from the Kennedy Center at 6PM EST/3PM PST on the West Coast. For further information and to view the live stream click here.